Initial challenge was to develop online training labs which gives students and professionals knowledge on AWS and Google Cloud Services. Also, end-to-end maintenance and support of the training platform. 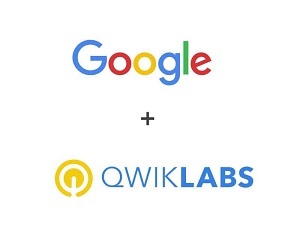 It involves direct communication with the Qwiklabs users using Zendesk support portal. Now we are in a phase to develop hands-on labs on Google Cloud Services similar to what we did for AWS Cloud Services. Also, providing end-to-end support to customers using GCP. Successfully delivered online labs using technologies like AWS CloudFormation, AWS Lambda, AWS RedShift etc. Provided support to over 10,000+ customers to resolve their queries regarding labs and platform usage. Developed activity tracking functionality for AWS labs which tracks student’s activities on the console in their lab sessions.